KURVE! 2-Player Battle is a simple but addictive game for two players. This one-device multiplayer game can be played with 2 players at the same time. 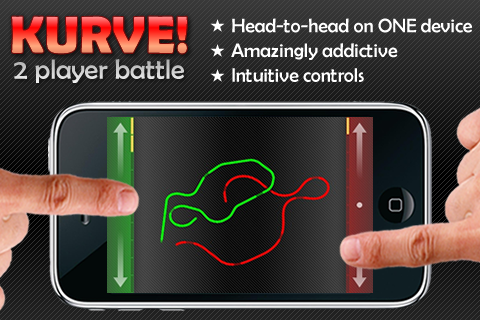 Challenge you friends for a short game of KURVE! And show who is the best! The game is very popular across Europe and in the United States and is also known as Achtung die Kurve!, Zatacka and The Line Game. KURVE! is a co-production of me and Ruud Verheijden (Appera).